Today, with the space shrinking cities, houses extend vertically rather than horizontally. 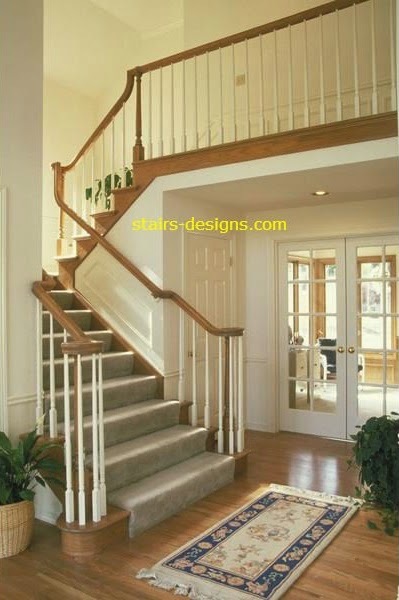 For this, the stairs have taken an important role in home decoration. 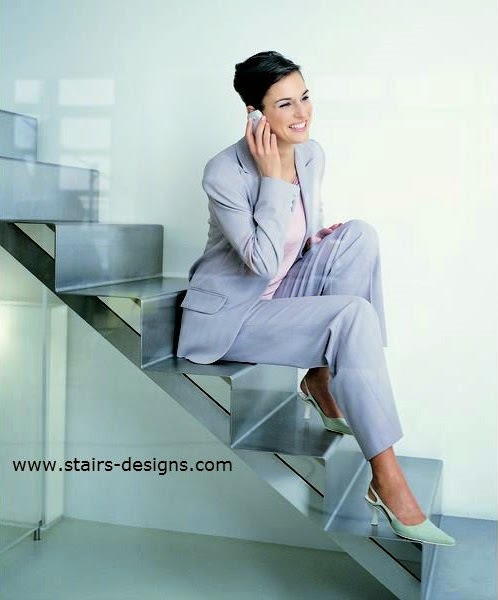 The design of the stairs depends on several factors such as space and height available. 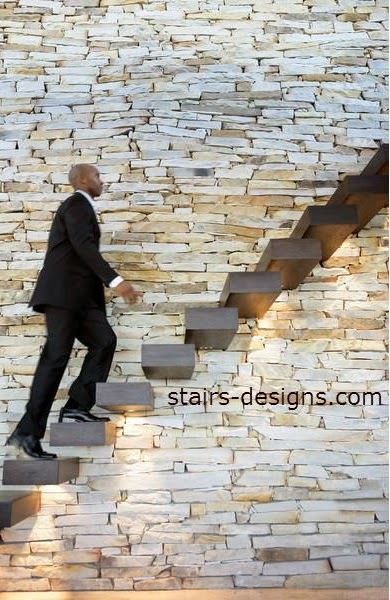 No longer do you have to limit yourself to a boring staircase, now you have chance to play with the material and design to turn that space into a work of art. See the pictures below and select the design that goes best with your home. 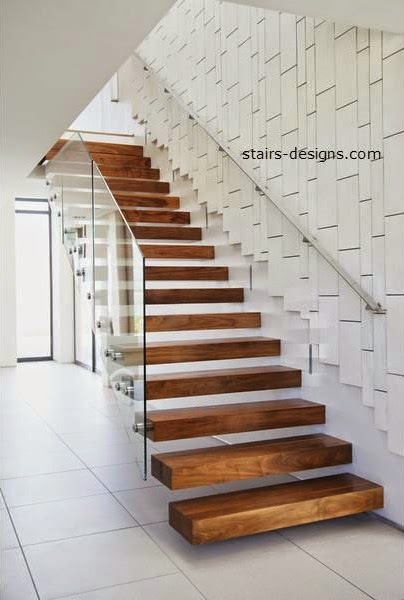 This wooden staircase seems to float in the air, creating a feeling of spaciousness in the room . This design is perfect for creating a warm environment, because wood is associated with the earth, with fire and with the warmth of home. Select a wood tone to go with the rest of your furniture and make a nice space family. This staircase, which seems to be confused with the wall, is recommended for homes where there are no small children. It has a solid look, but no railing that clutter your view so the place seems to be broader. You can take advantage of the space under the stairs to a small study or to place some artwork. 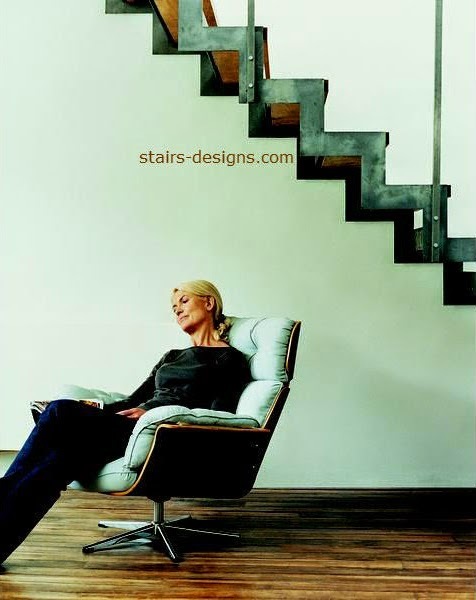 Floating stairs are very modern and gives a special touch to your home. The space expands and integrates with the ladder all the decoration. It is perfect for the minimalist decorations. And you do not need to put pictures on the wall as the figure of the ladder creates an illusion of frets that contrast against the white background color. 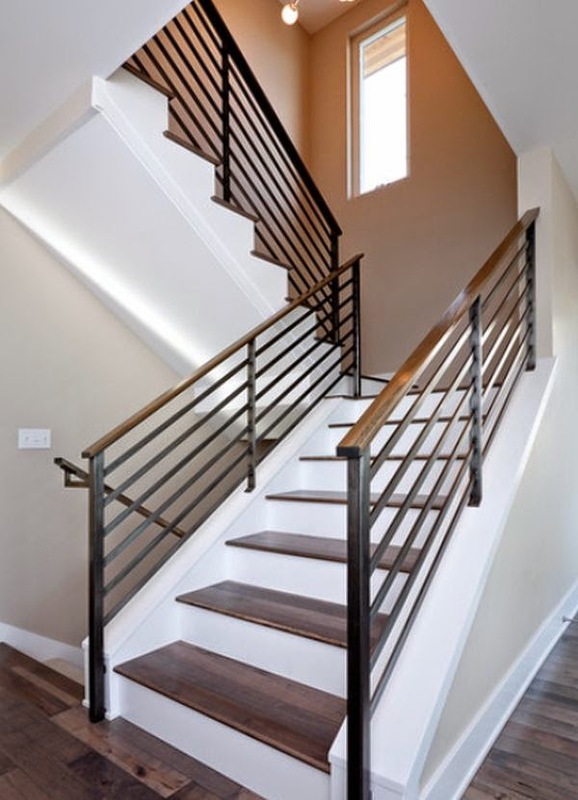 Not everything is modern, there are also traditional homes where the stairs should be solid and with a beautiful and secure handrails. This design is perfect for a household with children and adolescents. In these steps you can place Christmas decorations and wall paintings will look perfect with family photographs. These stairs give your home a professional look. The color and material give it an industrial touch to your home, it seems the perfect blend to create a space of office. If you are the type who can not leave work this design is perfect to reflect your personality. This ladder seems to be the way to heaven. His steps and light ruffles on the bottom create a visual scenario that seems sprung from a movie magic. 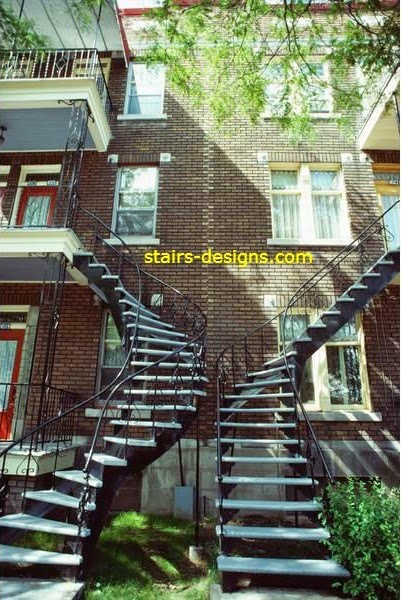 If you like this design be sure you install a professional to structure the ladder meets all safety standards. 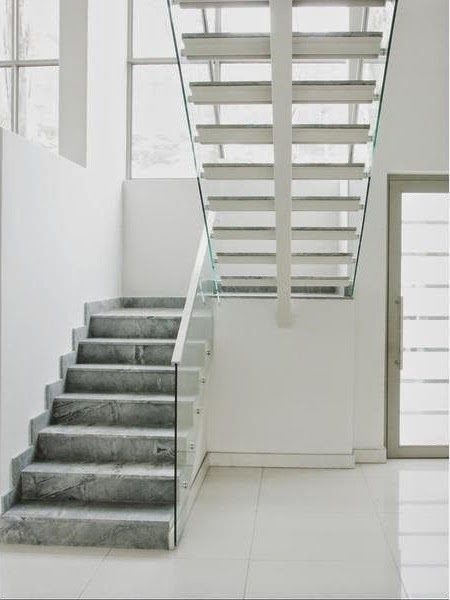 If you live on the second floor, these stairs are perfect for a spectacular entrance to your home. 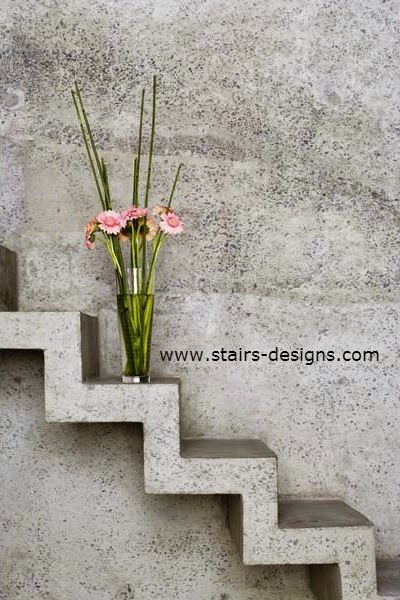 Forget boring stairs and put this design that integrates with the landscape. Give personality to your house from the outside and surprise your friends with this nice view. 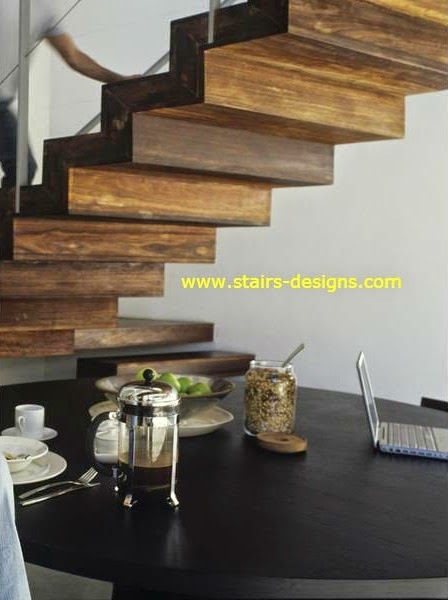 If the stairs in your house is already installed and you can not do much to change it, give it a modern look by installing this rail. With this design you have protection and elegance simultaneously. The material and color highlight the beauty of the wood creating a modern and fun image for your house. A spiral staircase is always beautiful and enigmatic because revealing secrets going on each step that is pressed. The figure of the shell is related to the number of the beauty , the divine proportion found in the great works of art. 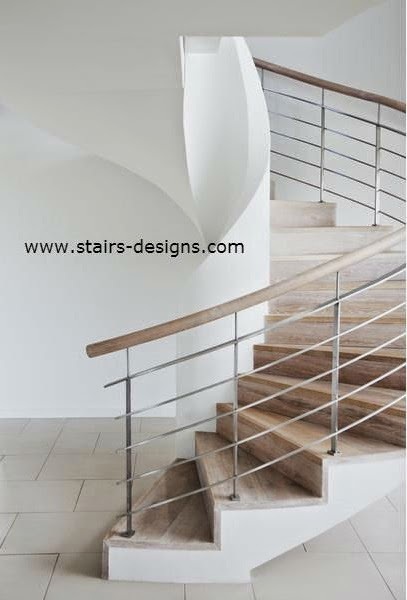 If you want to give your home a beautiful, aesthetic and mysterious choose a staircase like this. The strength of the wood contrasts with the lightness of glass. The white wall and the transparency of glass create the illusion of a space wider. This type of ladder will look good in a small hallway. Put a cute floor under the stairs and gets your house look bigger than it really is.